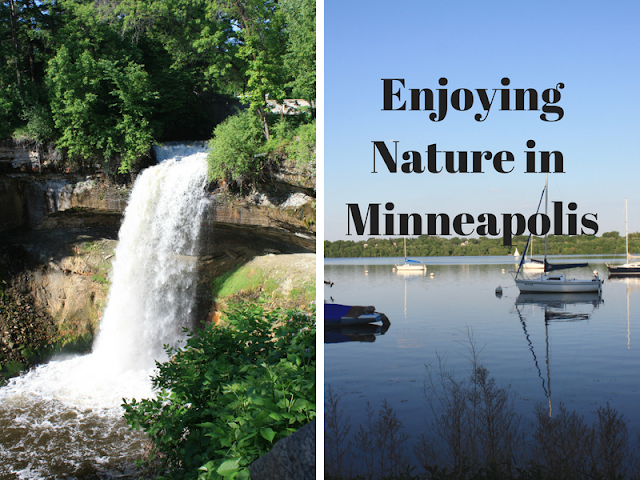 Our weekend adventure in Roseville, Minnesota was not short on breathtaking nature experiences! Despite the above 100 F temperatures, we were able to take advantage of cooler mornings and evenings to explore. We started one morning by visiting stunning Minnehaha Falls. Minnehaha Falls is situated in Minnehaha Park which includes plenty of space for picnics, a wealth of hiking trails, picturesque limestone cliffs, historic sites, gardens, outdoor activities, a restaurant and more. We barely scratched the surface, there is so much to explore at Minnehaha Park! We did enjoy the waterfall views and did take some pictures with the background. Who doesn't want to pose for a picture with Minnehaha Falls? 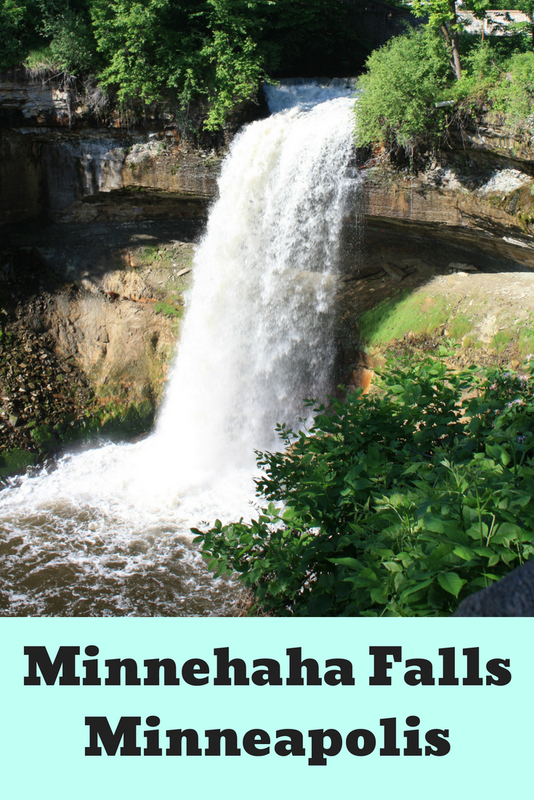 Minnehaha Falls is just part of the natural treasures you will find at Minnehaha Park! 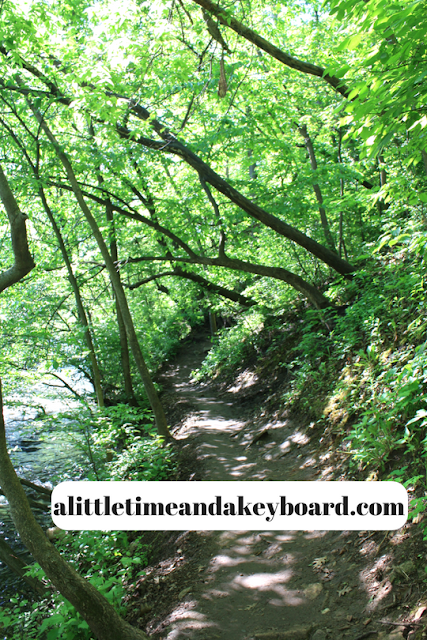 We opted to hike and enjoyed a rustic path along Minnehaha Creek. We savored the morning in beautiful surroundings. There are paved trails as well, but we chose to go a bit more rustic for this portion of the adventure. On a future visit, we will need to check out different sections of the preserve. We did have a moment to visit the old depot which was pretty interesting. I would also like to check out the art and gardens! The Chain of Lakes area of Minneapolis is another natural recreational area to have on your list. The park includes 5 lakes: Brownie Lake, Cedar Lake, Lake of the Isles, Bde Maka Ska and Harriet Lake. We visited the area during the evening and were treated to picturesque water views. The recreational area has everything you are looking for: boating, beaches, hiking trails, biking, gardens, sports fields, a grill and more. Each lake has its own character. We drove around a bit taking in views and settled on Lake Harriet for some walking. Simply beautiful! We also encountered a wonderful goose family. Truly a sweet moment! 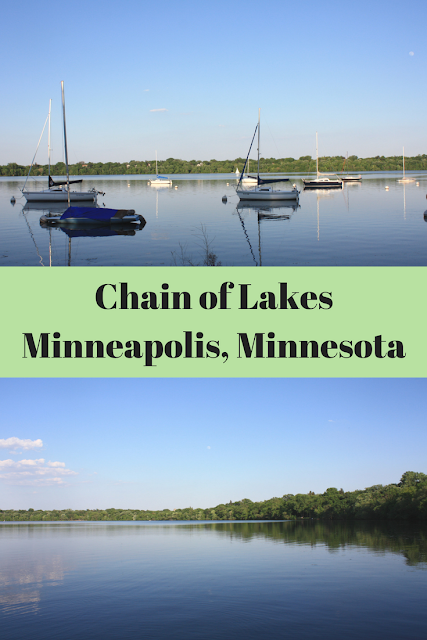 Chain of Lakes is an exceptional recreational area and one you should fit in your Minneapolis vacation! We had the picture perfect day in the Roseville area. I find it incredible that while in the Minneapolis-St. Paul area, it is simple to find breathtaking nature experiences. Awesome! I'd love to visit. We're always on the search for waterfalls and this sounds great. Is it easy to get to with kids?